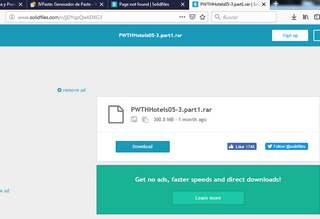 final o al inicio y al verlos los elimino y por eso es que no he actualizado los enlaces del otro post. Resumen: A Haunting (Historias de ultratumba en Hispanoamérica) y (Contactos con el más allá en España) es una serie de televisión estadounidense trasmitida por Discovery Channel en América y por Discovery Max en España. Inició originalmente como un especial de dos episodios, que fueron desarrollados por Allison Erkelens, quien también fue la escritora principal de la serie. Estos especiales fueron producidos por Tom Naughton y Nicolas Valcour para New Dominion Pictures, la serie está basada en historias paranormales reales.1 Debido a los altos niveles de audiencia la serie se volvió un programa semanal en Discovery Channel para Estados Unidos, siendo producido por Larry Silverman. Se han desarrollado dos películas a partir de la serie, ambas por Gold Circle Films, la primera estrenada en 2009 llamada The Haunting in Connecticut y la segunda, en 2013, llamada The Haunting in Georgia; ambas películas se basan en casos que fueron presentados en la serie. Paranormal Witness es un programa documental estadounidense de la cadena Syfy en el que entrevistan a gente que aseguran haber vivido un fenómeno paranormal mientras se emite un reportaje dramatizado en el que se cuentan varios sucesos. El 7 de septiembre de 2011 se estrenó el primer programa. Tras ser una de las series más seguidas por la audiencia, la productora decidió renovar Paranormal Witness para una segunda temporada dividida en 12 episodios y una tercera de 20 en agosto de 2012 y junio de 2013 respectivamente. En España fue emitido por el canal Xplora hasta 2014. Desde julio de 2015 es emitido por Mega todos los viernes a las 00:45 tras Ghost Adventures. While Deseret News writer Mark Rappleye characterized the show as "full of mind-numbing creepiness", he said that the show "will likely appeal more to believers and less to the even mildly skeptical". According to Rappleye, "Paranormal Witness” simply tells the story, insinuating that everyone should simply believe it as having actually occurred the way it is presented. This leaves little, if any, room for intellectual challenge or edification". New York Times reviewer Neil Genzlinger criticized the show, saying, "It doesn’t bother hunting for hard evidence; it simply uses first-person testimony and re-enactment to sell the idea that someone has had a psychic encounter". Reviewing the show's "Long Island Terror" episode, science writer Sharon A. Hill said, "Paranormal Witness, is not what I would consider a fair documentation. It is not wise to take TV shows at face value. People put forth their story as they perceive it but it may not be how others perceive it or how it actually occurred. Saying there is a demon and Satanic activity associated with the house is a steep claim. Evidence is suggested but without verification we can’t go anywhere with this story"
44 6 "The Dark Pond" Private home, Ashland, Ohio Neil Rawles September 30, 2015 0.75A family moved into an old Victorian's house, with a pond in the backyard. One day strange occurrences happened inside the house, in the meantime, outside, a dark force is leading Lilly, the litlle girl, to the dark pond. 45 7 "Demon House" Private home, Springfield, Louisiana Will Bridges October 7, 2015 0.55Jeanine and A.J. think they have found their dream home but are rudely awakened by the terror Jeanine faces. With her poor health on the line and the demon that's ruining her life, it's hard for them to continue. The Leidel family, parents and two teenagers, speak about what happened to them after moving into a house in 2010. The mother, Christi, and her daughter began experiencing things they couldn't explain, including seeing Native people in the home who quickly disappear. The two of them, not believed by the father and son, leave the house for a while. While away, the father and son also witness the Natives among other strange activity. After Christi returns she learns that their home was built on sacred Native land and blesses the house with sage in attempt to have the unwanted presence leave. The family thought the spirits had moved on until Christmas day when they awoke to find all the decorations stripped from the Christmas tree and the ball ornaments suspended in midair in three vertical lines before falling. They then moved out. Linda Coddington, her sister, her cousin, and her friend recount their paranormal experiences which occurred in Linda's apartment in 1984. Pregnant with her second child she moved into the apartment of an old house. Upon arriving she finds a necklace with a pentagram design and the fireplace securely boarded up. Over a few months she and her child, her sister, cousin, and friend witness paranormal activity including a large bed moved without explanation, the fireplace barrier rattling, dishes being pulled out of the cabinets onto the floor, and blood dripped around her baby in his crib. A priest performed an exorcism in the home but it didn't hold. Linda moved out and upon seeing the necklace again remembered from her childhood that at the time an elderly woman people called a witch lived in the house. The Perron Family give their account of what they experienced after moving into their new home in 1971. Up to 1980 when they left the house, members of the family of eight had various paranormal events occur in the home such as being trapped in a box with no latch or lock and nothing pressing on the lid, shared dreams, awaking with unexplained cuts, oddly dropping temperatures, feeling a hand on their back when no one was present, and doors moving without cause. The mother, Carolyn, researched the property and found many deaths and a woman named Bathsheba who was rumored to be "in league with the devil" and sacrificed an infant. Paranormal investigators Ed and Lorraine Warren visited the family's home, and Lorraine "sensed a malignant presence" and produced the name Bathsheba. The Warren couple, a medium, and Carolyn conducted a séance in which she became possessed. These events were the basis of the 2013 horror film The Conjuring. Kristel Smart and her family move into a late 19th Century house in Hinesburg on Pond Brook Road at Rhode Island Corners that was allegedly built over the ruins of a church that was burned with the congregation inside in the early 1800s. The family experiences disembodied voices, objects moving by themselves, scratches, and the appearance of ghostly processions. A U.S. military detachment experiences haunting activity at a camp called "OP Rock" in rural Afghanistan. They experience full bodied apparitions, disembodied voices, weapon and equipment malfunctions, and objects moving by themselves. The activity intensifies when they dig up human remains with effects around it written in Russian. They find out that extremists decapitated captured Russian soldiers on the rock during the Soviet-Afghan War in the 1980s. Amanda brings her family into her grandmothers house shortly after she passes, only to realize that her grandmother's twin sister is terrorizing her daughter and husband. A family moves into a home haunted by a voodoo spirit. Three college roommates are tormented by the spirit of a dead junkie. A young girl breaks the rules of the Ouija board, inviting an evil spirit into her home. A young man faces the consequences of a deal with the devil he made as a teenager. A war vet and his family move into a new home, only to be tormented by a demonic entity. After a trip to Point Pleasant, a couple is tormented by the mysterious entity known as Mothman. A family moves into a new home, only to be haunted by the spirit of Stephen Richards. A woman buys a house in a rough neighborhood, and is haunted by the spirit of another woman who was murdered there. After taking in their dying grandmother, a family is haunted by wolf-like spirits. Guards and inmates of a state prison are driven to madness by the spirits haunting its halls. A hotel is haunted by the spirit of the land's previous owner. A married couple undergo hypnosis to remember missing time from an alien abduction. 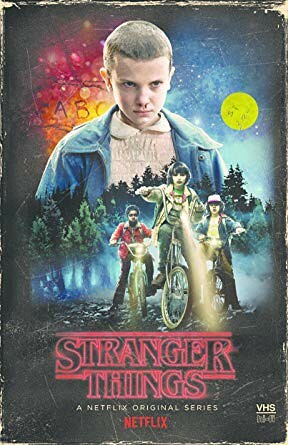 La historia arranca durante la década de los 80, en el ficticio pueblo de Hawkins, Indiana, cuando un niño llamado Will Byers desaparece, hecho que destapa los extraños sucesos que tienen lugar en la zona, producto de una serie de experimentos que realiza el gobierno en un laboratorio científico cercano. Además, en la ciudad aparecen fuerzas sobrenaturales inquietantes y una niña muy extraña. Ella, junto con los amigos de Will se encargarán de buscarlo, sin imaginar lo que tendrán que enfrentar para encontrarlo. Inadvertidamente, crearon un portal a una dimensión alternativa llamada "Upside Down". La influencia de Upside Down comienza a afectar a los desconocidos residentes de Hawkins de manera calamitosa. por fin lo encontré, gracias.